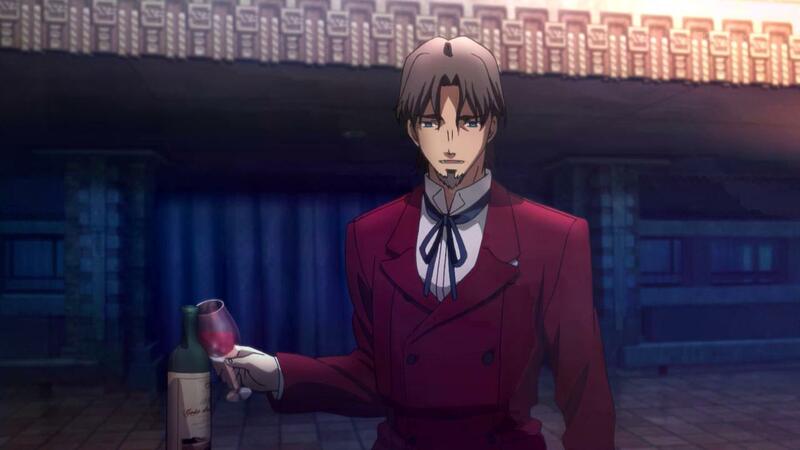 If you’re new to the Fate/X universe, here’s a quick run down. The original story and show was an adult visual novel called Fate/Stay Night written by a guy named Nasu Kinoko. It went something like this. Every few decades, magicians from around the world are chosen by the Holy Grail to participate in a battle for ownership of it and for the granting of any one wish. The winner is chosen by combat between the magicians using the spirits of heroes from the past and future who are contracted with the grail to have a wish of theirs granted as well should they prevail over the others. In that story, many references are made to a fourth grail war, one that took place ten years previous to the start of the tale and had a profound impact on many of the characters. 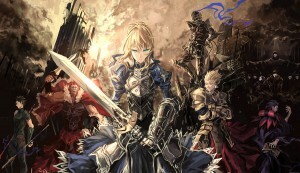 Fate/Zero is the telling of that war. With that out of the way, lets start by talking about the creation of Fate/Zero. As I have been told, Fate/Zero is actually a series of light fan novels written by an actual author, Urobuchi Gen, who loved Fate/Stay Night so much that he actually wrote a back story for it at pitched it to the original creator, Nasu. Nasu loved the idea and allowed this fan work to become canon. Great. And it really is, because Nasu, while having some really, really cool ideas and an imagination that has allowed him to create an expansive and ever-growing world lovingly referred to as the ‘Nasu-verse’ by fans, is a horrible writer. And you do not need to see the intensely boring and awkward visual novel to see why. 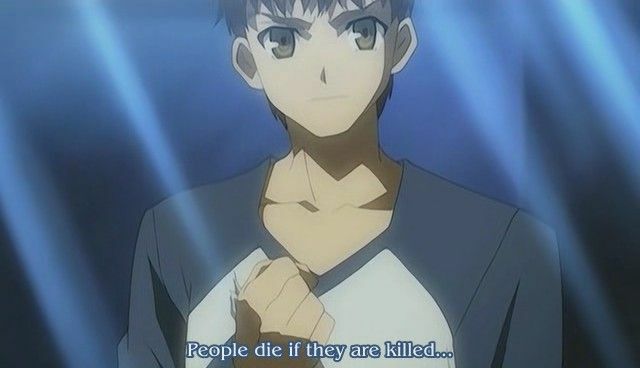 Take a look at the original anime adaptation of Fate/Stay Night to truly appreciate how inept at character development Nasu is. The original show was what introduced many of us in the West to the character of Saber, a legendary knight and hero/servant to the main protagonist. In FSN, she changes slowly from this paragon of chivalry and cynicism into just another waifu character with super powers. The protagonist, Shiro, doesn’t change much at all and yet somehow the two end up in love. Nevertheless, while the writing is great and the animation extremely pretty, Fate/Zero has some major flaws that kept me back from loving this show as much as other fans. The first problem is the pacing of the first half of the show. While one expects some set up in any kind of show, one does not expect most of the first 13 episodes to consist almost entirely of set up. Nearly all of the first half is taken up by exposition and characters standing around talking. Even during the battles, the heroes talk more than they swing weapons. It might have been excused a bit if they gave us a bit of back story at the start, but as the original work was a fan work of Fate/Stay Night, it is assumed that the viewers know most of the workings and trappings of how the grail war works and who everyone is. As someone who had last seen any Nasu work eight years ago, I would have been lost if not for the detailed information given to my by a fan friend. Something has happened! Let’s cut to Tokiomi explaining why he’ll still win. The second flaw is the pandering episode in the first season. Written entirely for the fans (the original novel only had a page or two for this side story), this episodes focuses solely on the young version of one of the heroines of FSN, specifically Rin. Not only does the episode not add anything to the overall plot of the show, it features the most annoying character from the first series and somehow manages to intensify that factor. The biggest flaw though is not really Fate/Zero’s fault. Because it was a prequel work, it had by necessity to tie into the Fate/Stay Night story and so the ending ends up being a series of contrivances made for the purpose of shoehorning this work into one that is vastly inferior. This ends up being one of the saddest parts of the show, at least for me. Not because of anything that happens in the end, but knowing that somehow the Saber than you’ve spent 25 episodes watching be a badass and be the sole voice for idealism and being true to one’s self, a leader, knight, and warrior, will (in her timeline) in a few days end up falling for a 16-year-old boy and becoming a waifu. It’s maddening to think about. You’ll not get this level of awesome until the second half, but it’s worth it. Overall, if you liked Fate/Stay Night, then definitely give this show a go. Seeing character growth and depth from your old favorites will be refreshing if not painful by the end in one way or another. Just be mindful that the first half will be boring and to skip episode 10 entirely. If you’ve never seen FSN, you might like it, you might not. Have the nasu wiki open just in case.